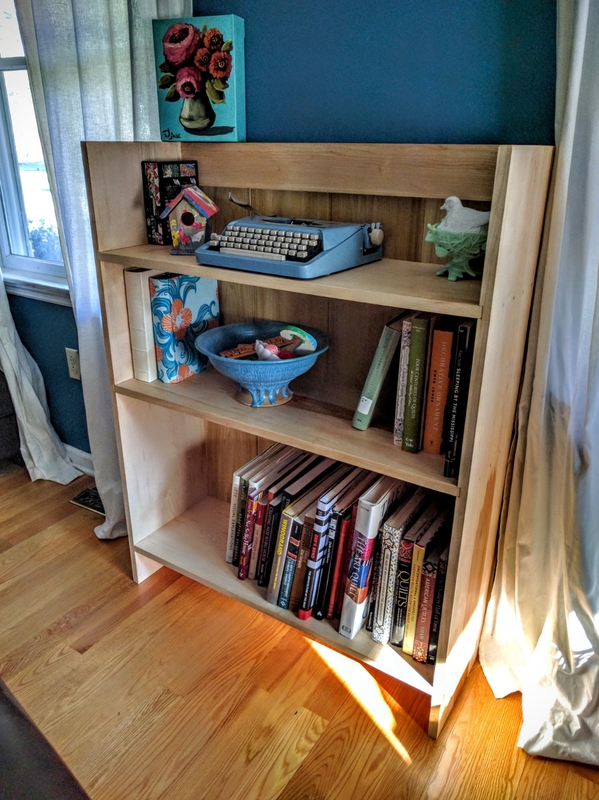 The new bookcase all loaded up. Design comes from The Anarchist’s Design Book at Lost Art Press. 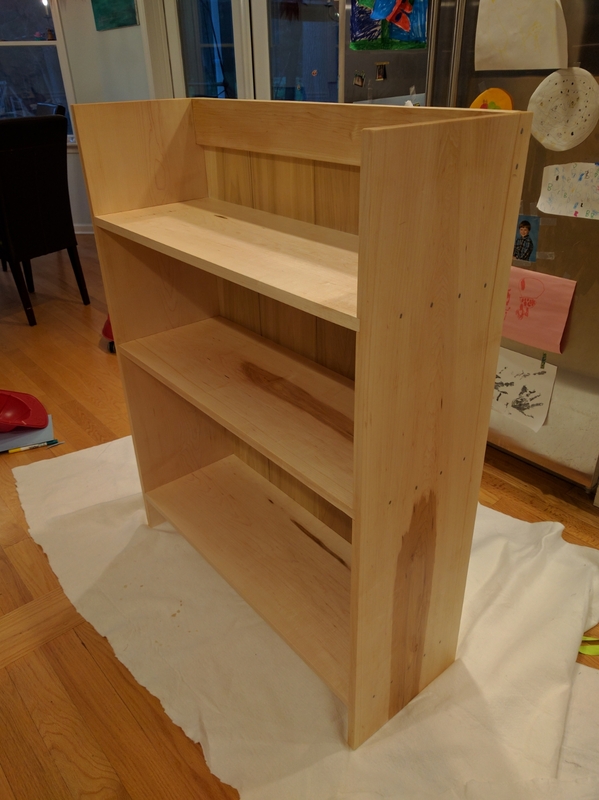 It’s a dirt simple build, just dados and nails and glue. and you can expand it to be whatever size you need. The total cost of materials is about 17bdft of primary wood and 6 bdft of back. 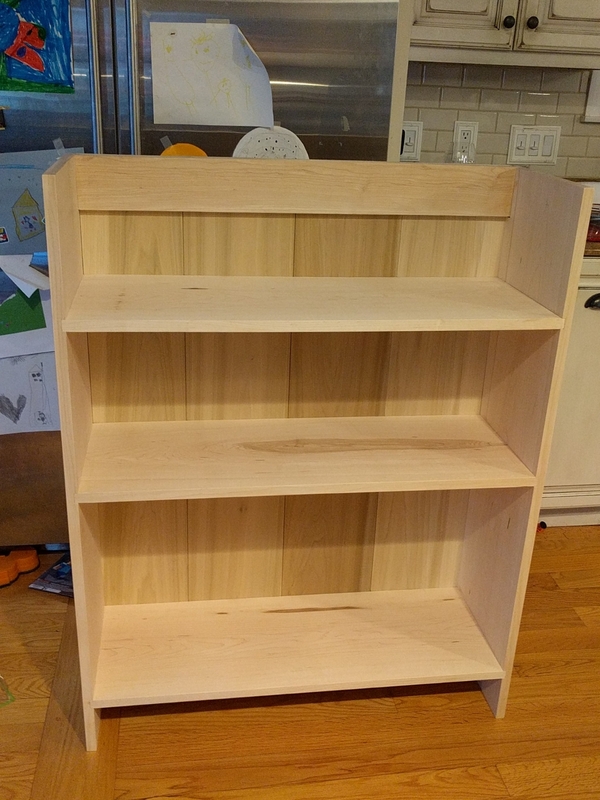 That worked out to $85 of maple and $32 of poplar. So just a bit more expensive than a Billy at Ikea, but it’ll last forever. Took me about 8 hours of shop time and I’m pretty slow. What a gorgeous piece of work. Congrats to Joshua Klein on putting this together! I cannot wait to dig into this beast. 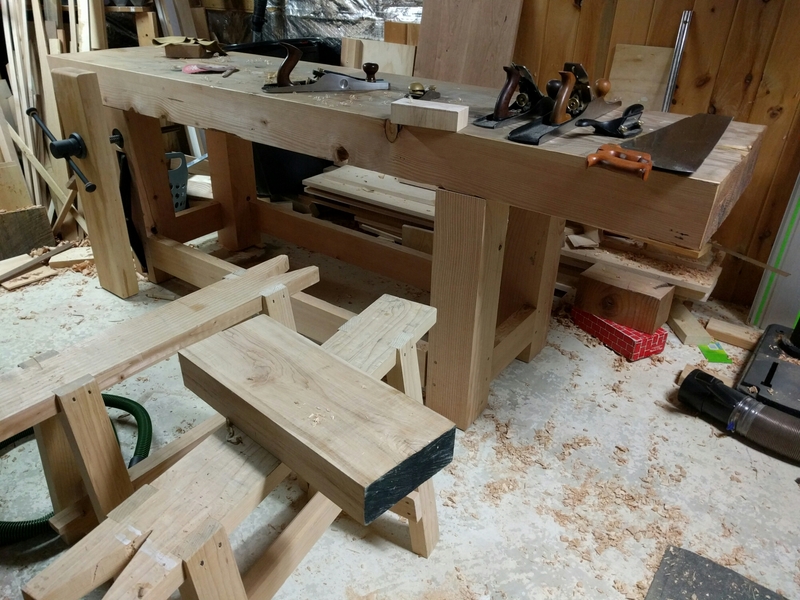 Nearing completion on the Roubo-style bench. 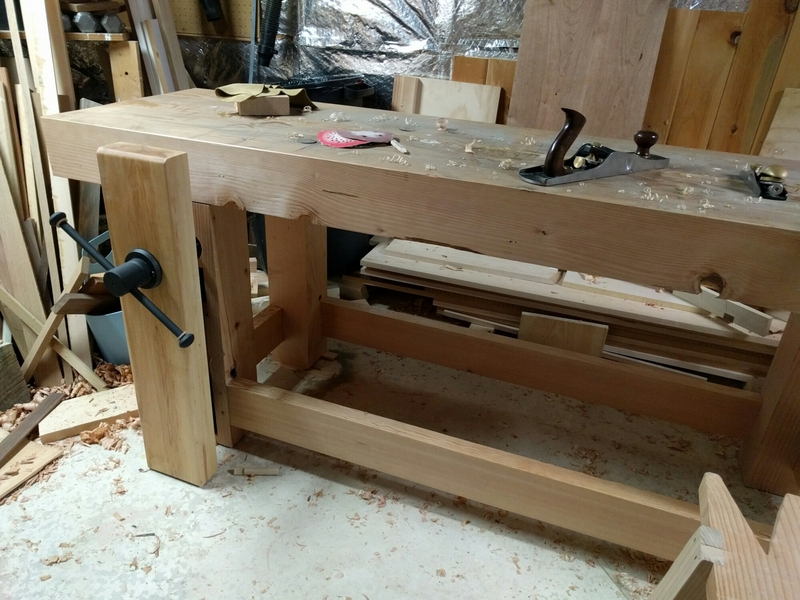 Legs in, vise mounted and tuned. 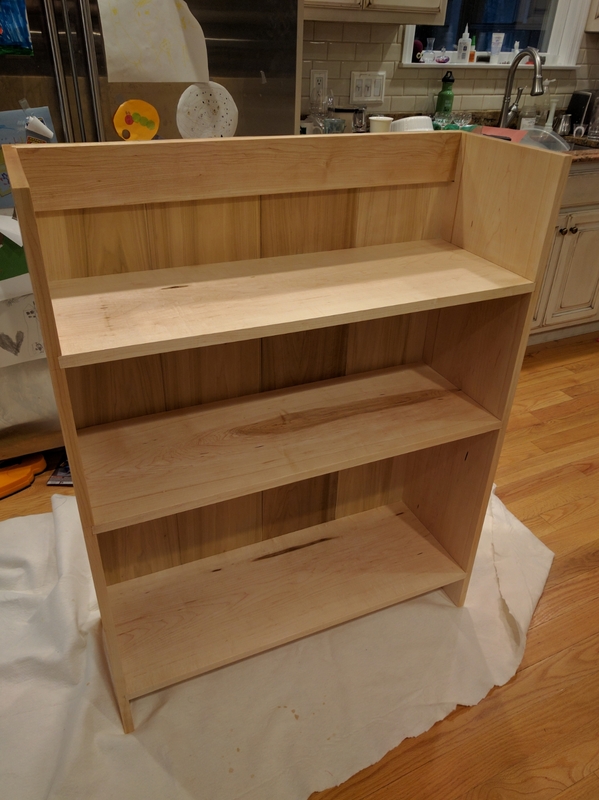 Now to flatten the top and install the shelf. Then back to real projects. Have some crazy gaps at the shoulders, but … Together. 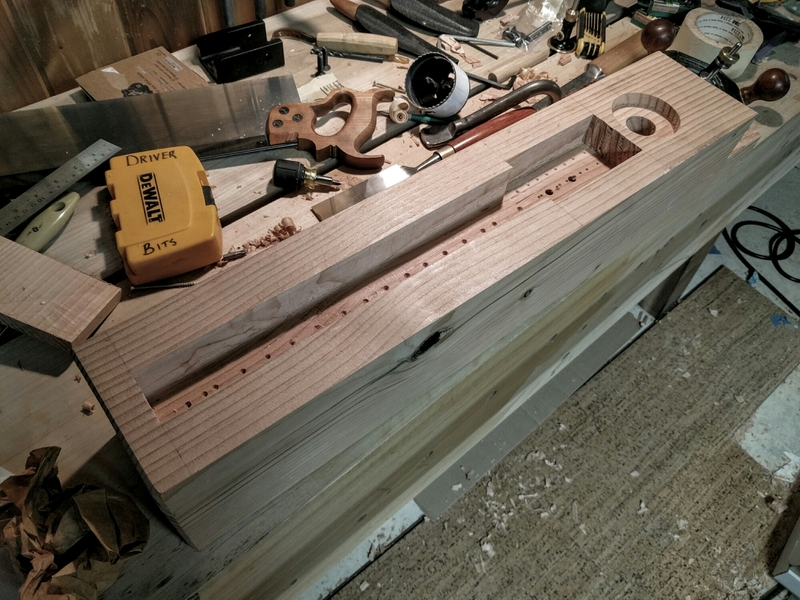 Bored out most of the waste in the chop mortise. Horray for drill presses. 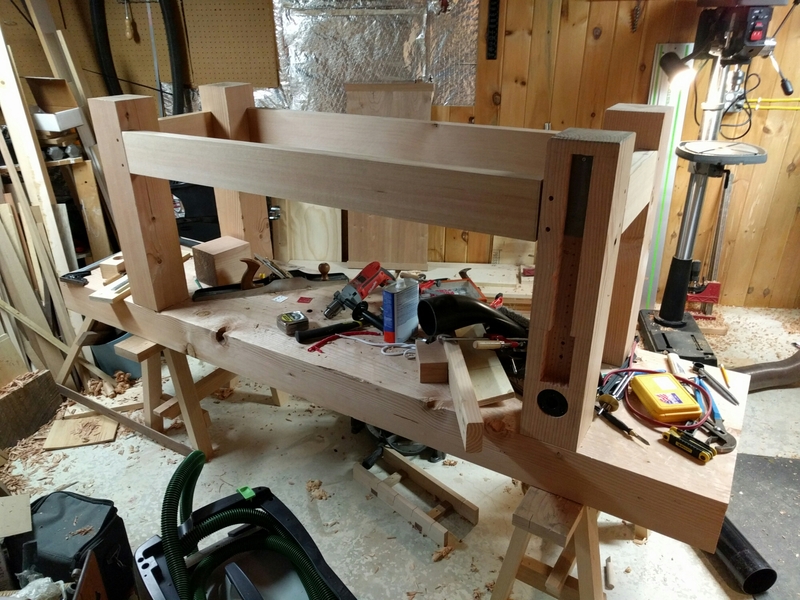 That crisscross mortise is a beast. 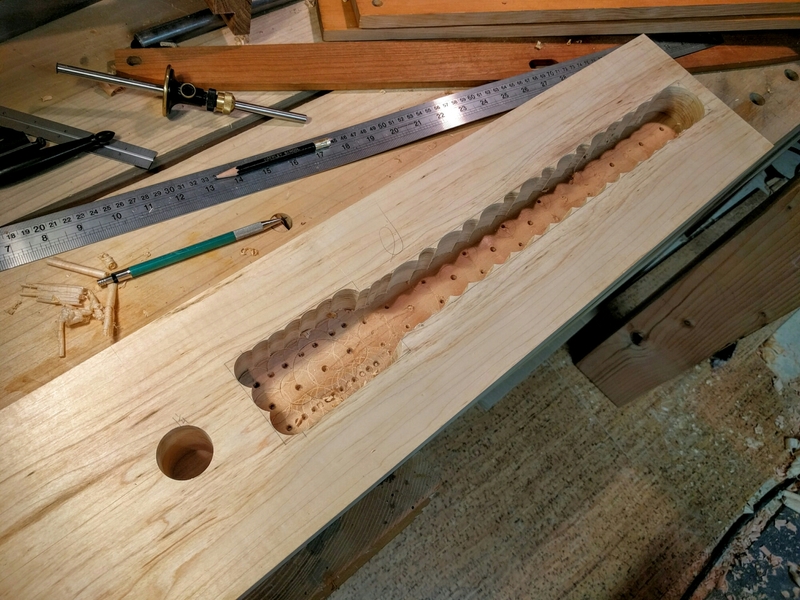 My drill press and my router plane are my two new best friends.